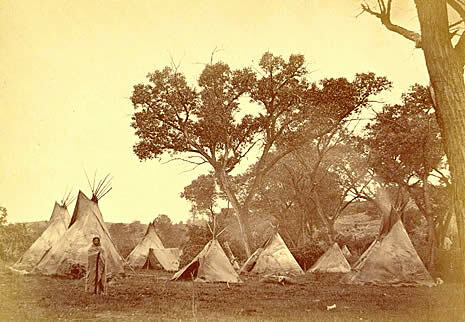 The piece I wrote touched on a few points, including the question of whether – and, if so, the degree to which – NAGPRA has slipped the mooring lines of its original intent. There is, for example, ample reason for concern about how the law is being implemented, especially with respect to the repatriation of pieces it identifies as belonging in one (or both) of two related categories: “sacred objects” and “objects of cultural patrimony.” The interest underlying that concern is piqued and only intensified when the standard relied on for making such a determination comes across as falling short of the clear and convincing mark. Consider, for example, a recent NAGPRA notice of intent to repatriate that seemed unusually puzzling: “Notice of Intent to Repatriate Cultural Items: U.S. Fish and Wildlife Service, Office of Law Enforcement, Albuquerque, NM,” which appeared in the March 4, 2018 issue of the Federal Register. It is, basically, a formulaic statement, practically a fill-in-the-blanks exercise. Although this sort of once-over-lightly, get-it-out-the-door treatment is not unknown when it comes to NAGPRA’s notices of intent to repatriate, these declarations usually provide significant details about the relevant objects; information people in the tribal art world might find both interesting and helpful. The one object of cultural patrimony is a bison headdress with glass beading and eagle plume feathers. Cultural affiliation was determined based on the type of beading, which compares with historic photos of beaded headdresses provided by the Comanche Nation, Oklahoma. What caught my attention about this notice was not just its formulaic quality, but its absurdly brief description of the object. Where to start with this? We might begin by asking, what kind of “bison headdress” are we talking about here? Any idea about when it was made? Who used it? When? For what purpose? It seems reasonable to ask a basic question (for which there ought to be an equally basic answer): How and why, exactly, does the piece qualify as an object of cultural patrimony? For many years I’ve written about NAGPRA, first for American Indian Art Magazine and now for the Antique Tribal Art Dealers Association. Laying out the basis for determining that a piece is an object of cultural patrimony is a regular feature of NAGPRA repatriation notices. (It’s also helpful for people who follow developments regarding NAGPRA and its application.) I’m curious: What, precisely, was the basis for determining this particular piece is an object of cultural patrimony as I cannot find reference to specific evidence taken into account? Two weeks later, I received a letter from Mr. Siegel. “Self-evidentiary”? Whoa. What does that mean? Whatever meaning the author of the statement intended – the term “self-evidentiary” does, after all, bring to the fore certain epistemological considerations – I’m probably not alone in finding it virtually meaningless in the context of the object in question. To claim a piece is an object of cultural patrimony because it is “self-evidentiary” must mean that the tangible object itself – and the tribe’s claim about it – provide all the evidence you’ll ever need. (Even if the object and the claim are not adequately described.) Somehow, the object and claims about it convey an unambiguous message announcing its status as cultural patrimony. Absent a straightforward answer to the original question – or the kind of certitude gleaned from a gob-smackingly epiphanic moment – this is the kind of stretch associated with Plastic Man, a comic book hero of my youth. The question I raised was: What, precisely, was the basis for determining that this piece is an object of cultural patrimony? In your letter, you describe accepting the tribe’s view that it is an object of cultural patrimony as “self-evidentiary.” The problem I’m having with this is, the notice provides no details about the basis for making or accepting such a claim. Does the act of simply making a claim, in and of itself, meet the [NAGPRA] preponderance of evidence standard? Is there no obligation on the part of those drafting a notice of intent to repatriate to inform the public with details about such a claim, e.g. its basis and the reason for it being considered an object of cultural patrimony? “Tell ‘em what you’re gonna tell ‘em, then tell ‘em again.” That was some of the advice a wry professor known for the crisp quality of his writing passed along to those of us fortunate enough to be among his students. “Tell ‘em, then tell ‘em again” is all about clarity in communication. Whatever you’re trying to say, say it. You really don’t have to repeat the point endlessly, but, by golly, you need to have a point and you need to make sure it doesn’t get so mired in ambiguity and/or confusion that it comes across as at once profoundly unhelpful and fundamentally – perhaps self-evidentiarily? – irrelevant. The point here isn’t how long or short a NAGPRA notice of intent to repatriate should be. There is a good deal more involved here than word-count. It’s not the number of words that’s important; what’s important is the message they convey. What seems to be at stake, really, is clarity. Just because a passage is concise doesn’t mean it brims with clarity; writing clearly with brevity, well, that’s a challenge. I really don’t care about the length of a such a notice. What I do care about is reading a notice that is sufficiently thorough for a reasonable person to understand what the object in question is and how – again, exactly – the final determination was made. In other words: let’s see the evidence. When it comes to NAGPRA, we’ve already witnessed plenty of blurring of the lines regulating the differences between established understandings and ever-shifting political/cultural pressures. (Perhaps that was inevitable, given the agendas involved.) But eventually don’t we run the risk of the blur replacing established boundaries, to the point that there is nothing but blur? Sooner or later, anyone seriously interested in or concerned about NAGPRA will consult the notices of intent to repatriate it generates in the Federal Register. It behooves those involved in creating the notices – indeed all of us – that these announcements be clearly stated and helpfully descriptive. After all, while a law may establish this or that it should also educate those it affects and whose behavior it seeks to regulate. Otherwise, the law itself may be perceived as confused and capricious. 1 Among them was John Adams, later president of the United States, who, in his defense of British troops tried in connection with the 1770 “Boston Massacre,” pointed out to his countrymen, “Facts are stubborn things, and whatever may be our wishes, our inclinations, or the dictates of our passions, they cannot alter the state of facts and evidence.” David McCullough, John Adams (New York: Simon and Schuster, 2001), 123. 4 According to Siegel’s October 15, 2018 letter to me: “If you are asking about the basis for determining cultural affiliation, we made that determination based on the expert opinion of curators at the Museum of the Great Plains in Lawton, OK, and based on the Comanche Nation’s recognition of the headdress as Comanche.” Actually, that’s not what I asked; I asked how it was determined the headdress is an object of cultural patrimony. That appears to be the “self-evidentiary” element Siegel mentions.